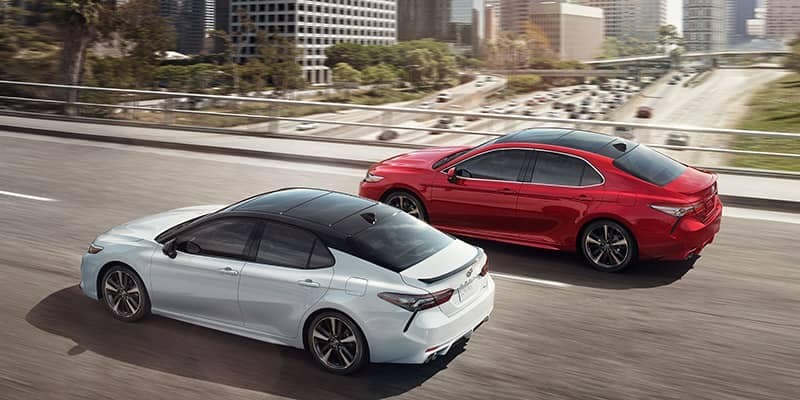 Two very popular options for a new family car, the 2019 Toyota Camry and the 2019 Honda Accord are compared often by drivers in the Greater Indy area. You’ll find reliable construction, exceptional safety features, and well-appointed interiors in both the Accord and Camry. Only one new car will grace your Fishers driveway, so which will you choose? We’ll compare the 2019 Toyota Camry vs Honda Accord to help you make the right choice. 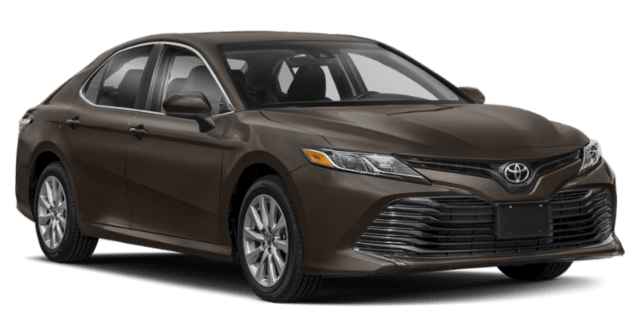 2019 Toyota Camry: The Toyota Camry price starts at $23,845 MSRP* for the base L trim, and the top XSE V6 trim will cost you $34,600 MSRP*. The Camry hybrid price starts at $28,150 MSRP*, with three different hybrid models to choose from. Toyota Camry trim levels offer many features at different price points for your New Palestine commute, should you choose the Toyota Camry SE or LE? Another popular model is the Toyota Camry XLE, which starts at $28,925 MSRP* and offers upgraded 18-In. Silver Machined-Finish Alloy Wheels, LED Headlights, and Toyota’s Blind Spot Monitor† with Rear Cross-Traffic Alert†. You can drive further for less when you compare the Camry vs Accord. The estimated vehicle range for the base level Camry is 544 miles, but you can only go 488 miles on a full tank in the Accord. Think of it this way: you could drive from Noblesville, pick up your cousin in Carmel, have lunch in Indy, and go to your family dinner in Greenwood and still not burn up the difference in gas if you’re driving the Camry. 2019 Toyota Camry: With the Camry, your entry-level engine will be a 2.5L four-cylinder pushing an eight-speed automatic transmission. You’ll get an impressive EPA-estimated 41 mpg highway** with 203 hp, with front-wheel drive. 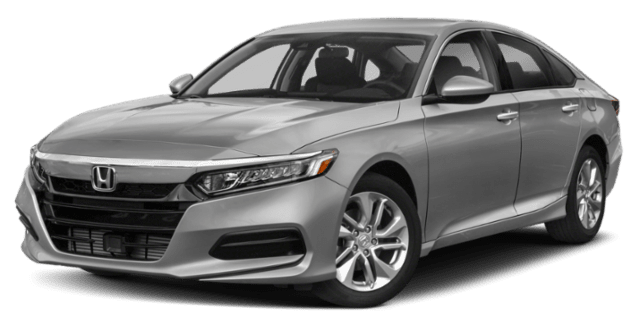 2019 Honda Accord: You’ll start with a 1.5L turbocharged four-cylinder engine in the Accord, on a continuously variable transmission yielding only 192 hp. Even with the smaller engine, it gets only 38 mpg on the highway. 2019 Toyota Camry: Enjoy the Toyota Safety Sense™ (TSS) suite of driver-assist safety features, as well as an integrated backup camera with dynamic gridlines, 7-inch TFT multi-information display, Entune™ 3.0 infotainment system with a six-speaker sound system, and Bluetooth. Want more from your backup camera? 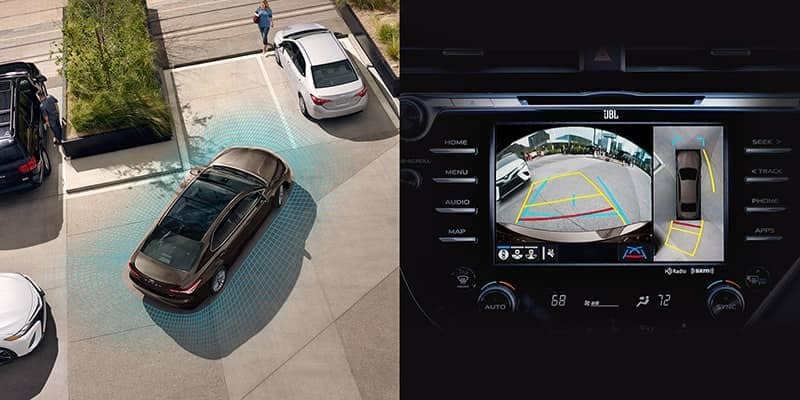 Add the available Bird’s Eye View Camera‡ to your Camry and have a panoramic overhead view of your surroundings, so you can park in the tightest spots in Indianapolis. You won’t find a feature like that on the Accord. Will You Drive Home the 2019 Honda Accord or Toyota Camry Sedan? We found that the new 2019 Toyota Camry is the smarter pick over the 2019 Honda Accord. We even compared the 2018 Accord vs Camry and arrived at the same conclusion. The 2019 Camry might start at a slightly higher cost for the base trim, but the top Toyota Camry configurations are more affordable. Camry’s new hybrid cars have 3 different models to choose from. When you need a more powerful optional engine and a more comprehensive array of standard features, you’ll also find a “win” with the Camry. 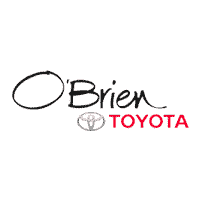 O’Brien Automotive has been helping Indianapolis drivers into the best family vehicles for over 85 years. 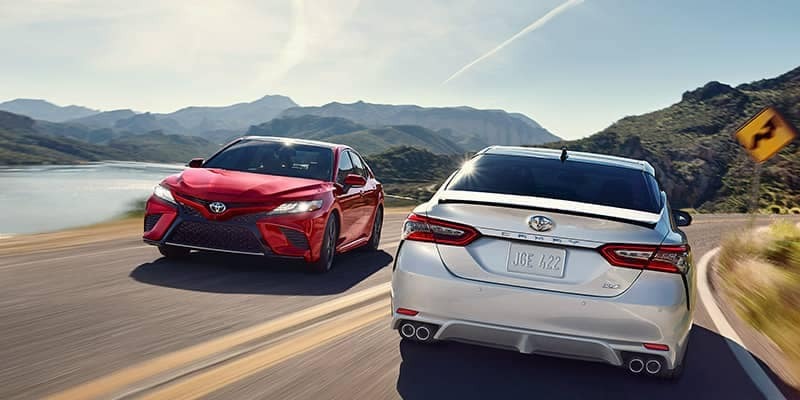 We’re the Toyota dealership Indianapolis trusts, so contact us online about your favorite Camry to schedule a test drive. Want to see how Honda and Toyota compare in other segments? Check out the Toyota RAV4 vs. Honda CR-V.
†Do not rely exclusively on the Rear Cross-Traffic Alert system. Always look over your shoulder and use your mirrors to confirm rear clearance. There are limitations to the function, detection and range of the system. See Owner’s Manual for additional limitations and details. ‡The Bird’s-Eye-View Camera does not provide a comprehensive view of the area surrounding the vehicle. You should also look around outside your vehicle and use your mirrors to confirm surrounding clearance. Environmental conditions may limit effectiveness and view may become obscured. See Owner’s Manual for additional limitations and details. Intelligent Clearance Sonar (ICS) is designed to assist drivers in avoiding potential collisions at speeds of 9 mph or less. Certain vehicle and environmental factors, including an object’s shape and composition, may affect the ability of the ICS to detect it. Always look around outside the vehicle and use mirrors to confirm clearance. See Owner’s Manual for additional limitations and details. Do not rely exclusively on the Blind Spot Monitor. Always look over your shoulder and use your turn signal. There are limitations to the function, detection and range of the monitor. See Owner’s Manual for additional limitations and details.